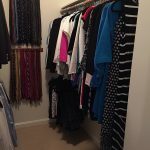 A teenagers closet is different than your average closet. 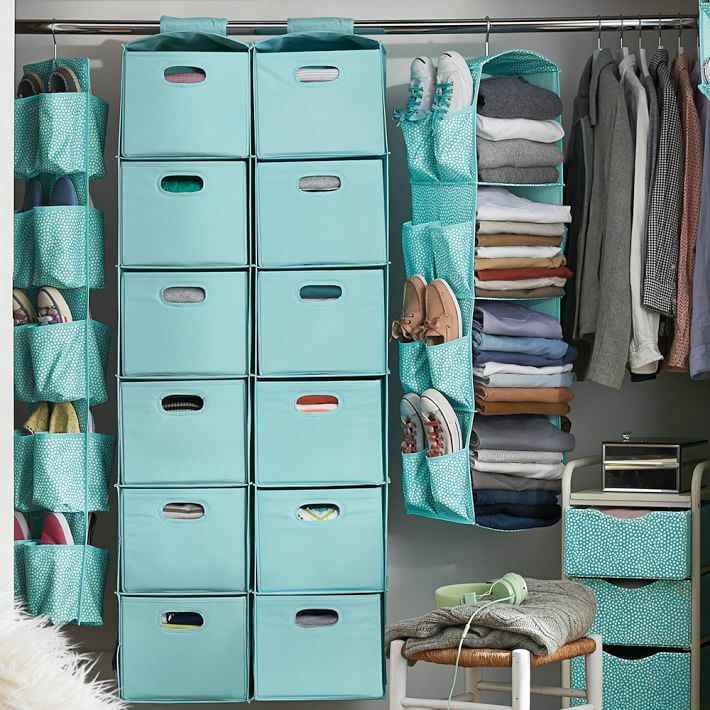 The size, style and type of clothes make designing and organizing their closet a bit unique. 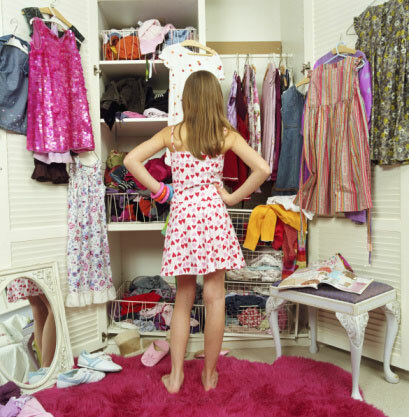 These are a few things to remember when organizing a teenagers closet. Make sure there is a place for everything or it will end up on the floor. 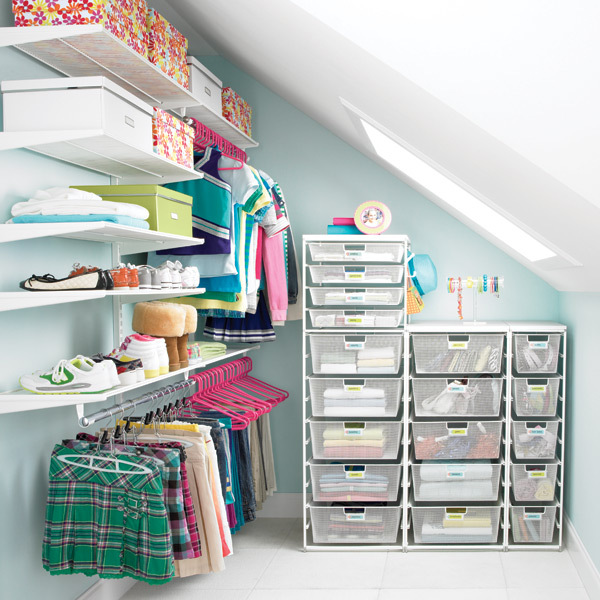 Count how many shoes they have so you have adequate storage space. Their clothes are shorter on average especially their skirts and dresses. Utilize the space under the hanging clothes. 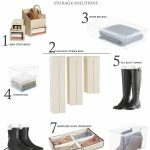 Add drawer space in the closet with my favorite item from the The Container Store. Teens love a pop of color. 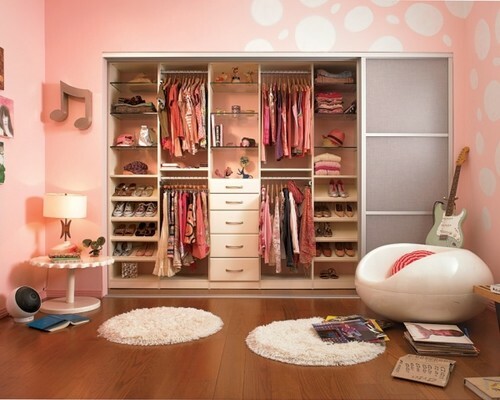 Paint the inside of the closet wall or change the hangers to slimline hangers in a bright color. Do not forget the the closet doors. Hang a full length mirror like this one from Pottery Barn Teen. It comes with hooks so you can hang jewelry or scarves. If you want them to stay organized include them in the process. It’s their space, let them know their opinion matters.